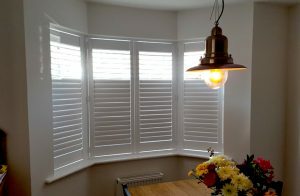 Welcome to Shutup Shutters, the leading supplier and installer of shutters Stratford has to offer. We have worked tirelessly to establish our reputation for providing high quality customer service and our products are bettered only by our range of shutters. Our range of interior and exterior shutters is available in a wide variety of colours and finishes to ensure that they perfectly complement whichever room they are installed perfectly. We offer a free no obligation site survey and quotation to all and will allow you to make a fully informed decision on which option is right for you. Everyone at Shutup Shutters enjoys working closely with our clients to ensure that your ideas become reality. Our friendly and knowledgeable installation team possess all of the skills and experience required to ensure that whichever shutters are chosen from our range will offer the ideal solution for your property. If you have any queries regarding the premier range of shutters Stratford has to offer, we are more than happy to discuss any requirements that you may have. At Shutup Shutters we know nothing but shutters. Our reputation is second to none and we offer our customers the best quality shutters at the most competitive prices on the market. Our interior shutters come in a vast range of styles, materials and colours. 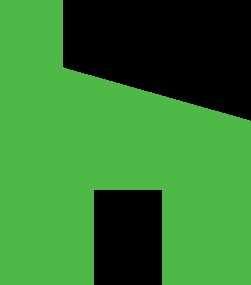 UK homes have many window shapes and sizes. We can design your shutters to fit any shape or size. Shutters are now becoming the popular option to furnish your home and are now found in more and more homes across the country. Not only are shutters the ultimate luxury finish to a home but they make any room in the home look stunning, you can light up the room and have total privacy at the same time, something you never get with other options, shutters are now becoming the first choice of window covering over their traditional predecessor. Our years of experience have taught us the importance of listening and understanding to the needs of our customers. Shutup Shutters provides excellent customer care. We can advise customers on the type of products that will suit their home, give you an in free home quote and we offer communication that is unsurpassed. If you would like any further information regarding our products and services, please don’t hesitate to contact us on Tel. No. 0800 634 9640 or 07951 418648, via our contact page, or via Facebook, and our helpful and friendly team will answer any questions that you may have. At Shutup Shutters we do not use salesmen, we pride ourselves that from quote to install you will see the same person. With our expert advice you will get the best shutters designed for your home. We cover all of the South East England, London, Essex, Sussex, East Sussex, Kent including: Kings Hill, West Malling, East Malling, Tonbridge, Tunbridge Wells, Sevenoaks. Sidcup, Eltham, Welling, Bexley, Bexleyheath, Bromley, Orpington, Beckenham, Dartford, Longfield, East Dulwich, Lewisham, Catford, Maidstone, & many more.